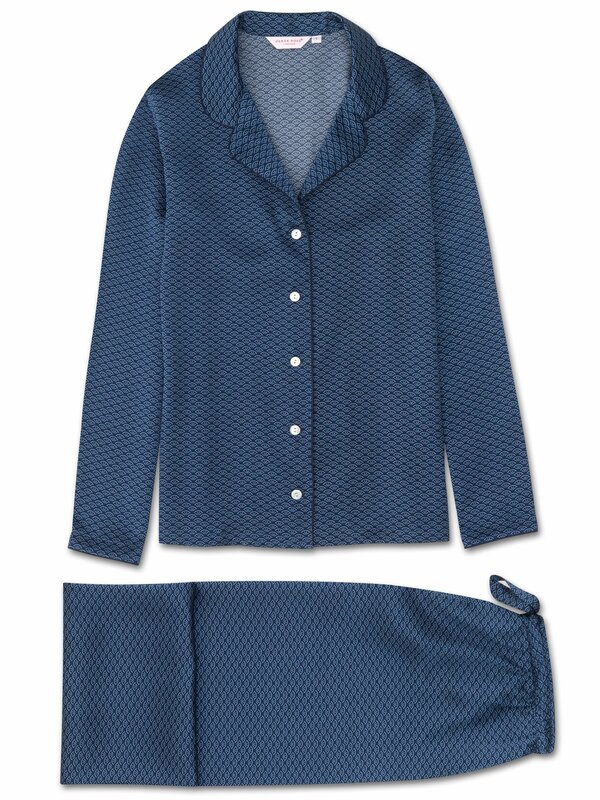 With its navy base and repeated Japanese 'fan' motif in light blue, the Brindisi 26 women's silk pajama set is both stylish and luxuriously comfortable. Handmade in our workshop in Cheshire, England, this stunning pajama is crafted from luxurious pure silk that has been digitally printed in Italy. Produced in extremely limited quantities and the result of hours of loving craftwork by our skilled pattern cutters and seamstresses, the Brindisi 26 PJ set is cut by hand to ensure we uphold the supremely soft and elegant satin finish. 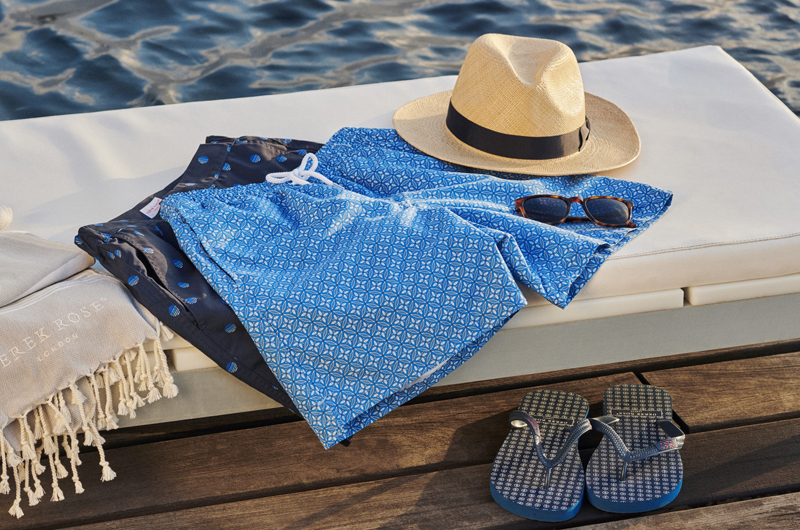 Featuring a fully piped finish in a complementary navy and mother of pearl buttons, the quality of craftsmanship continues with the pants and their elasticated waist with self fabric drawstrings for added comfort.